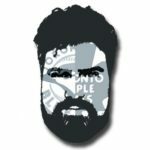 My conversation with Toronto Raptors writer Blake Murphy, who previously wrote for Raptors Republic, Vice, Dime Magazine, and Fangraphs before moving to The Athletic. We talked about his thoughts on the Raps off-season and how it impacted him as a sports journalist, what the worst case scenario is with the Leonard-DeRozan trade, on the nature of melodrama in Toronto and how Dwane Casey was largely ignored and quickly forgotten, his definitive and candid take on Kawhi, the importance of chemistry on the current roster, why the game of basketball and the Raptors have been such a huge inspiration in his life, and his thoughts on the patron saints of pro wrestling (Hulk Hogan and Ric Flair). Be sure to follow Blake (@BlakeMurphyODC) on social media and check out his literary prowess and media interviews on all things basketball at The Athletic (@TheAthleticTO).